English: African forest-flycatcher; French: Gobemouche forestier; German: Waldschnäpper; Spanish: Papamoscas del Bosque. The body length is about 6 in (15 cm). 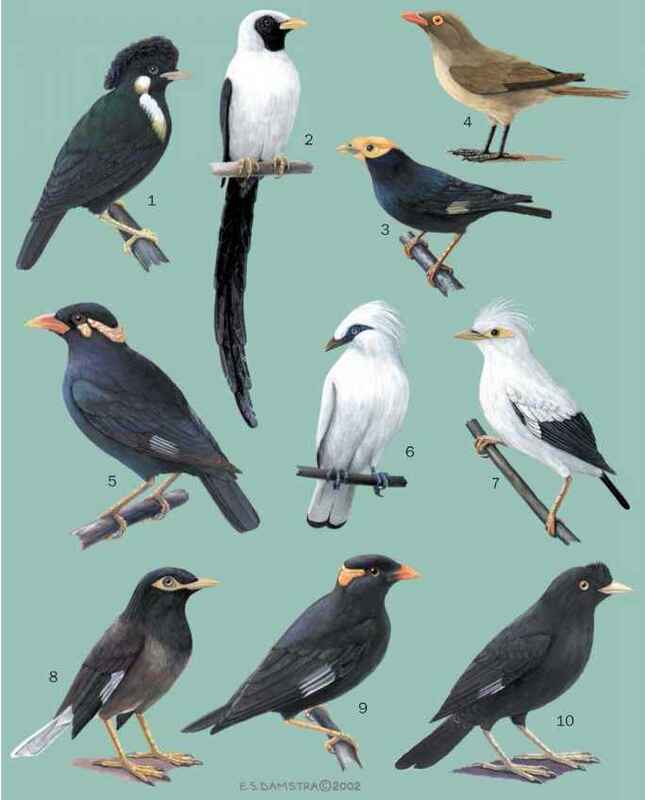 The sexes are colored similarly, with upperparts dark-gray, the tail feathers black, and the underparts white with dark, dense, scalloped markings. The juvenile is more brown with some spotting. 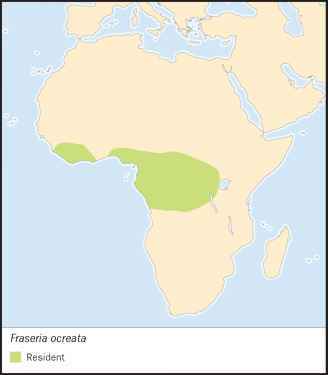 A widespread species of tropical western and central Africa. Occurs in primary and mature secondary, moist, tropical forest from the lowlands to as high as 5,250 ft (1,600 m). Inhabits stands with a high, thick canopy and often occurs in the vicinity of a forest watercourse. A nonmigratory species. A relatively social species, which may occur in groups of as many as 30 individuals. It may breed in a semi-colonial manner. It also breeds as isolated, monogamous pairs, but groups may be polygamous. Breeding pairs are often accompanied by their young of previous years, which may help the parents with raising their brood. The family and social groups also react collectively to danger. The song is a melodious series of two to seven notes. Forages actively for insects, which are gleaned from foliage. Also fly-catches for aerial prey. A noisy, active, gregarious bird that frequently flits its tail and partially spreads its wings while hunting. Builds a bulky nest with an internal cup. The nest is built by various members of the family group. Lays two or three eggs, which are incubated by the female. The young are raised by the parents plus related helpers.